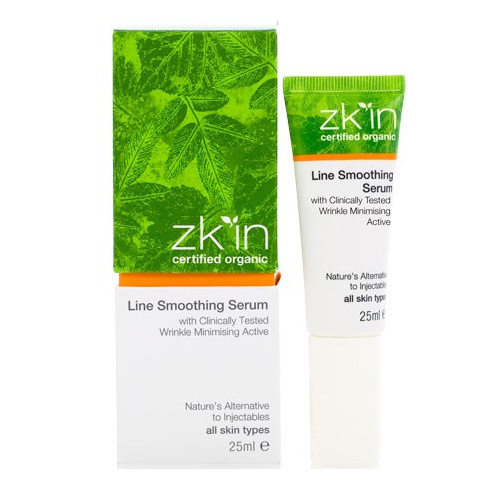 There's a natural alternative to injectables for your wrinkles such as the Line Smoothing Serum by zk'in. For a skincare product that looks to deliver results, I've been really loving the certified organic Line Smoothing Serum by zk'in which RRP for $59.95. It's a great product should you be looking to fight fine lines and frown lines. The Line Smoothing serum contains Acmella Oleracea plant extract (Gatuline Expression) and proven extract from the Paracress plant in Madagascar. Furthermore there are no nasties which means 95.05% contain certified organic ingredients. After a few days of using the Line Smooth Serum, I could see that it was helping to smooth out any sort of expression lines and wrinkles. With continued use I can look to expect a smoother complexion. My skin noticeably looked more youthful and smoother especially around my eye areas. The results are similar to what you'd get through injectables so why not opt for a pain-free and non-toxic method? It temporarily blocks the muscular contractions that contribute to facial expressions. Essentially I would use this serum by gently pressing it into the skin both morning and night. The texture comes in a gel form which absorbs so easily on the skin. 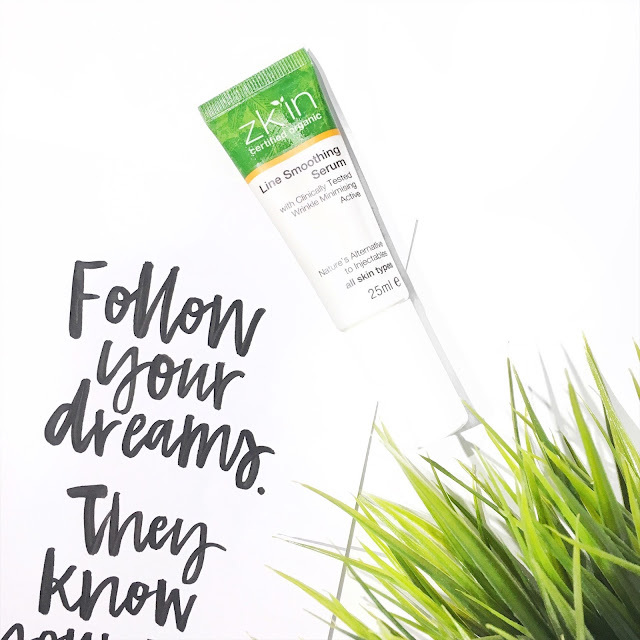 Once again there are no chemicals or toxins in this serum which makes it ideal for those who love their organic based products. For more information, make sure to visit the official website by zk'in. Have you tried any products from the zk'in range?